A very early example of an autofocus SLR dating from the late 1980s, the SFX is capable of shooting with varying degrees of automation; manual controls, particularly for shutter speed, are a bit cumbersome. 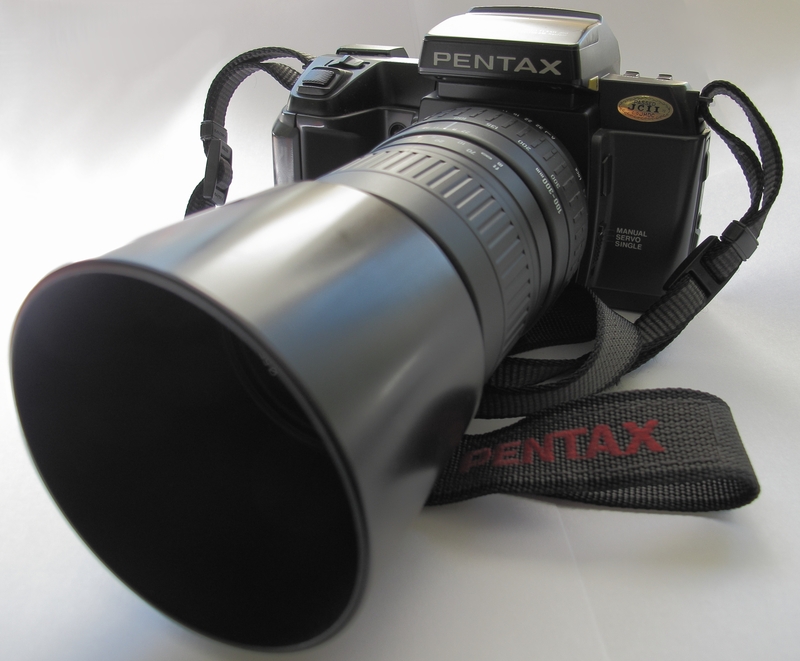 It uses standard K-Mount Pentax lenses, including the standard f/3.5 35mm-70mm with macro and a Sigma f/4.5 100mm-300mm. 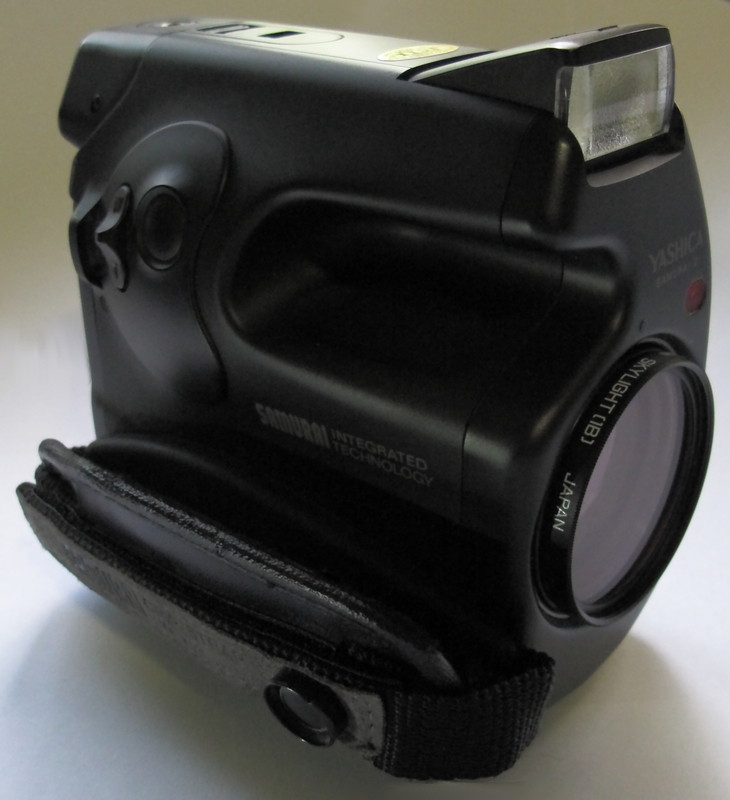 Truly an oddball, the Yashica Samurai Z is an advanced autofocus half-frame 35mm SLR packaged like a camcorder. There is little manual control over exposure, but numerous programmed modes that allow for highly experimental photography, if one chooses.